Carrie Mathison would be proud. Suspicious, but still proud. It Just! Got! Interesting! Now that was an excellent episode of this soapy show I love so much. We had Emily carting around dead guys, dapper Nolan back in his natural habitat, everyone in fancy dresses, Charlotte and Declan together again, and Mason Treadwell right in the middle of everything. I’m still very confused about Emily’s allegiances to Faux-Manda, Padma, Nolan, Aiden, Daniel, Ashley and Kara, but that’s just a minor quibble. And, okay, I’m not crazy about Jack’s proposal since he dumped her two episodes ago and I still wasn’t quite sure if they were back together, but again, quibbles. The most important thing is that the writers seem to be listening to us and getting back to basics. I daresay we might even see that old infinity box hidden under the floor soon. Is Ashley about to get a back story? What’s her situation? Susan: I was so excited when she dropped that bit about Aiden and Emily knowing each other all their lives and then Emily mentioning that she was an easy mark. More Ashley is more better. I think she’ll be a secret part of the Initiative, and she was here to keep an eye on the Graysons. I don’t think the Initiative knows about Emily yet, but they would know about Takeda and Aiden, since they’re known enemies. Right? I’m still a little bit confused about Takeda’s role in this season. But mostly – more Ashley! Yay! Steven: I have issues with Ashley. She’s a flip-flopper, for one. Now she’s allied with Conrad, now it’s Daniel. Having her be a part of the Initiative would make sense of this for me. If, like Emily, Ashley is playing both sides towards some third end, then I would finally understand her intentions. I have a completely new idea to throw into the mix: Ashley is Takeda’s daughter. He raised/trained her to be able to enter any revengey-situation and act as a balancing element to the revenger, keeping him or her on track. On an unrelated note: is it just me or does Ashley appear to be waning away before our very eyes like a sliver moon? This last episode there was a scene of her changing into a dress, and I got the impression that it was supposed to be sensual or at least intimate, but I just kept wondering how she had the energy to remember her lines. Is she not allowed to have food in her dressing room? What’s the deal? Will Nolan’s money somehow be used to fund the Initiative’s next terrorist plot? Is this just a prettier Homeland? Susan: I think Nolan’s money will definitely be involved, because it would finally make the company audit an interesting and integral part of the story. I sort of wonder if they’re going to have to set up Padma to take the fall for it, or maybe even Takeda/Aiden. That’s a reach, I know, but the money trail is still very confusing. I think the show is definitely drifting toward Homeland territory what with the Initiative and secret terrorist plots and Mason’s board of strings that led him back to Emily Thorne. Has he been taking cues from Carrie? Is Juvie the new Issa? We already saw the clothing crossover from earlier this season. Little did we know, they were just getting started. Pretty soon we’ll have Abu Nazir leading the Initiative and Roya showing up at Grayson Global and Virgil hacking into Nolan’s clam cam. Revengeland! Steven: Oh clam cam and infinity notebook, I have missed your straight forward plot points these last few episodes. This money business is thoroughly confusing me. But that is it’s nature. For all of the fantastically good characters and scenes in Jackie Brown, the most complicated part is the money. It all hinges on Samuel L. Jackson’s character trying to pull one over on the DEA and then Jackie pulling one over on them both. I understood that this was the plot, but until the second (I’ll be honest, the third) viewing, I wasn’t sure about the details. The same goes for Fargo. “He was trying to buy a parking lot?” Susan asked me the other day. “Yeah. That’s the whole money plot. He was going to fake-buy a parking lot.” Then I had to go back and re-watch it to make sure I wasn’t lying to her. The trouble with money as plot is it’s too elusive. It isn’t a walking, breathing force. Instead we have to be constantly reminded of it in tangential ways. Contracts, and funds, and stock prices. I would be okay if they had a money-less episode. Although this is the Hamptons, so what should I expect? What is going on with the Stowaway? Last week I thought the previously bad guy turned good was going to outright buy the bar from the Porter brothers. Now he’s just a business partner? And what’s the deal with him looking all conflicted and conscientious this week? 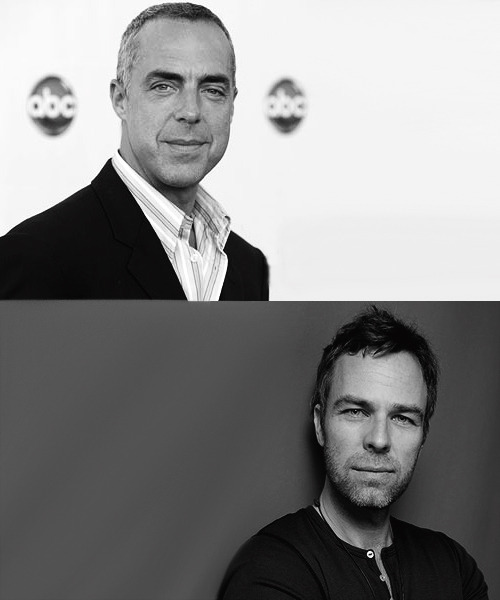 I think the thing that bothers me the most about him is that he’s just a poor man’s Titus Welliver. The Man in Black would never be this shifty. Mason, Mason, Mason, you continue to impress. 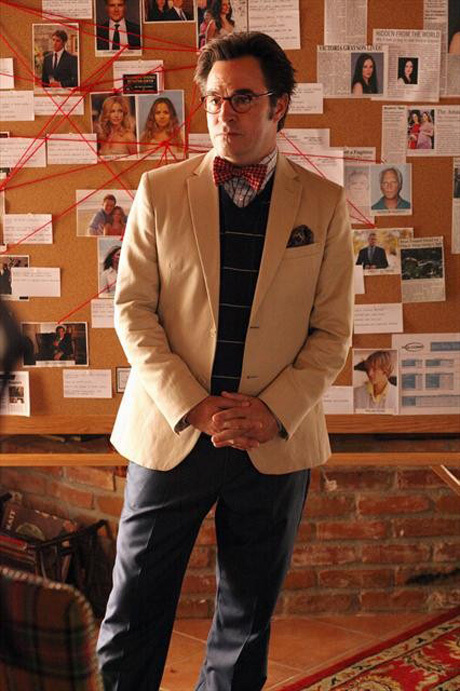 I don’t really understand how Emily’s plan to get Conrad arrested would lead to the end of Mason Treadwell. Did she think the Graysons would just go after him? Shouldn’t that be self-contained in one episode? I liked that the show tried to go back to basics and showed us a little montage of Emily’s handiwork with the White-Haired Man, but the whole thing was designed for Mason, not Conrad. Now Mason is closer than ever and Emily is just celebrating the victory with Aiden? Weird. This is the story line that I’m most excited about though, so I guess I’m happy that it will continue next week. Loved the super cliche flashback scene with Kara and the White-Haired Man talking about his “last job” in the sunlit room with wispy fabric and flowers. Is it so cliche that the writers want us to think she made it up? I’d appreciate that.